Songrium is a music browsing assistance service based on visualization of music relations that cultivates a deeper understanding of songs and their musical relations and facilitates an expressive interpretation of music. Songrium web crawler automatically checks updated music video clips and the system classifies them into categories and estimates relations among them on daily basis. 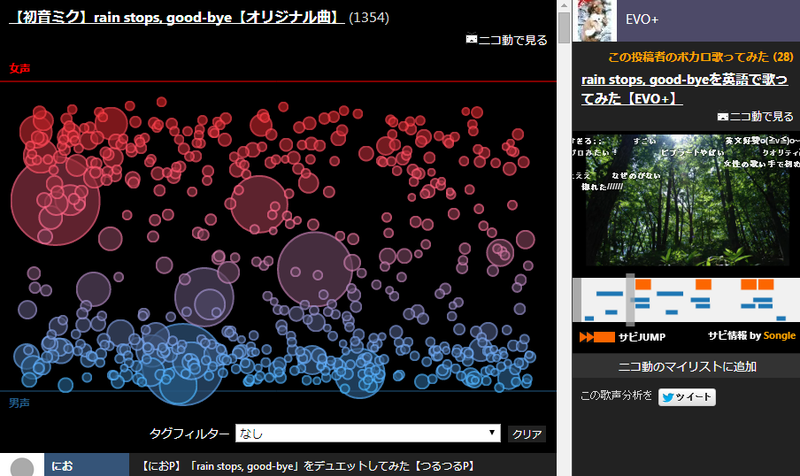 A user can listen new songs and its derivative works easily. User interfaces of Songrium utilize not only web-mined text metadata but also results of understanding audio signal on music content. This combimation expands variety of music browsing assistance. Songrium has functions of music information visualization and they assists users to brwose and enjoy massive music content. 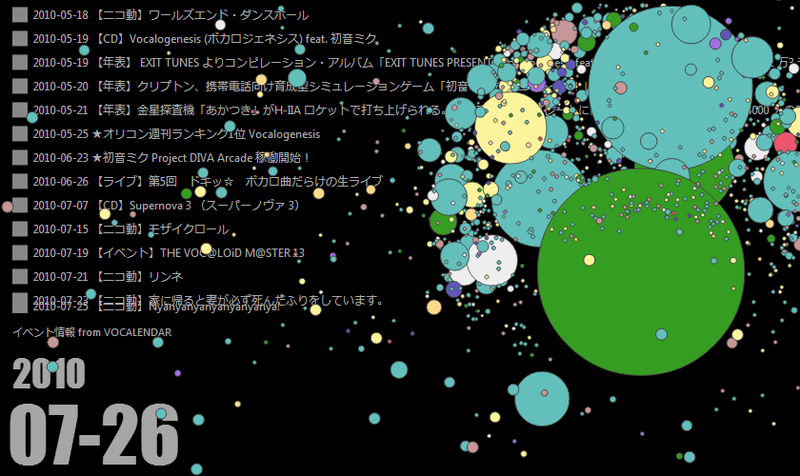 These visualization are based on metadata extracted by Web mining technology and features estimated by Music-understanding technology. 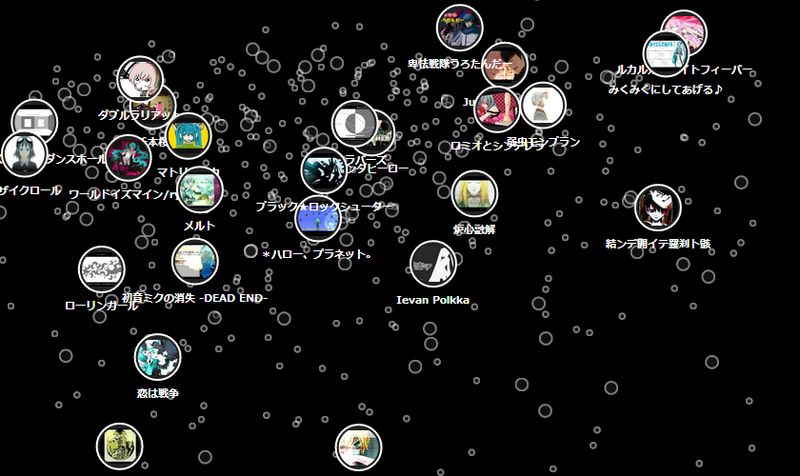 Songrium is music browsing assistance service based on visualization of music relations. Songrium cultivates a deeper understanding of songs and their musical relations, and facilitates an expressive interpretation of music.